Yes, I am studying… . Today it was rainny in Shirahama, so I was in my house all day. After school my sisters came back to home and teached me how to write on the paper. This entry was posted in Family on 2006年1月31日 by izusakuraya. Today it was very warm, so I went to this place to take a photo. I walked down the small road in the bush from Route 135, there are big rocks and I can find this cave. 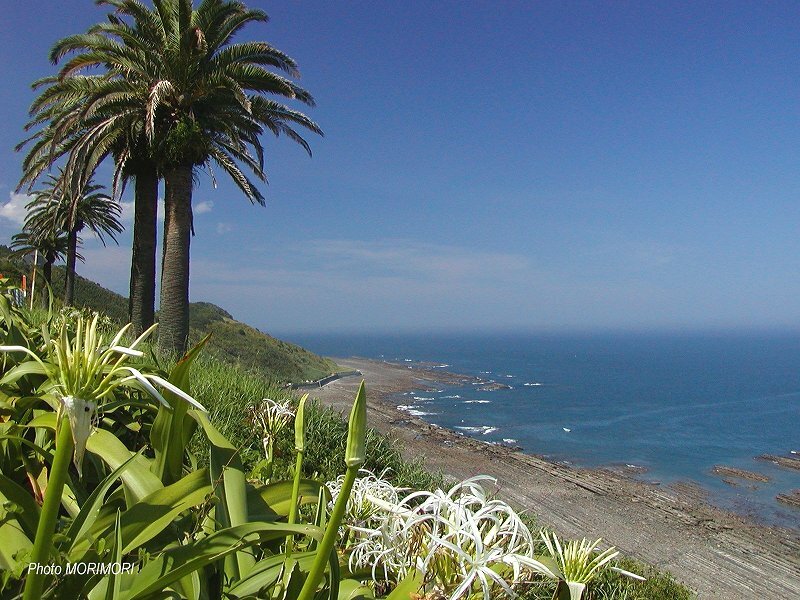 It is a really fantastic place here, but probably most travellers do not know it. This entry was posted in 未分類 on 2006年1月30日 by izusakuraya. Sakuraya’s building will be under repair. From tomorrow we will start to repair our building. This time we will repair the roof, the walls outside and the walls of inside of Japanese style rooms. So we can not be able to accept the reservation until March 20th. But we accept the reservation of only February 10th, Friday and 11th, Saturday. After all construction we are looking forward to meeting you again at renewed Sakuraya. Please understand our situation. Thank you very much. This entry was posted in Family on 2006年1月29日 by izusakuraya. Actually I went to take a photo yersterday and was going to post this photo last night. But I had new year party last night and I came back to my home at around 1:30am. Besides I drunk so much, so could not post this photo. 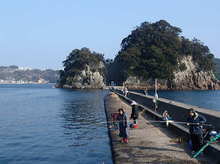 This place is "Inubashiri" embankment in Shimoda, near Shimoda blanch of Japan coast guard. In Summer a lot of people come here for fishing. There is a rental house of fishing tools, pole, food for fish, bucket and etc, so we can rent it 1,500 yen if we do not have any tools for fishing. But this house was closed yesterday, probable they open it during summer. When I went to this embankment one of them told me, "I could get a lot of sardines yesterday, but today ……. ."
Why don’t you have a good time there when you come to Shimoda? This entry was posted in Sea on 2006年1月28日 by izusakuraya. Today it was sunny and beautiful too, so I went to take a photo. 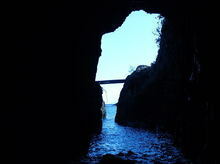 This is one of my favorite place in Shirahama, near the gate of Shimoda city, "Ogasaki Wing". 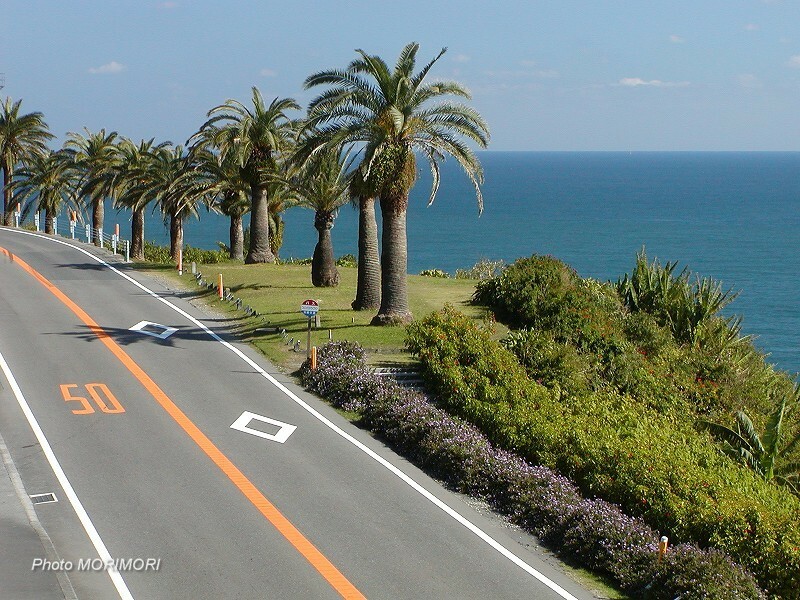 In my home country, Miyazaki Prefecture in Kyushu, we can see a lot of palm trees in many places, for example, at the main street of Miyazaki city, on the road from airport, along the river and etc. I had been watching this scenery since I was born. When I moved here 12 years ago, I found these trees at many places in Shimoda too. That’s why I love Shirahama and Shimoda. This entry was posted in nature on 2006年1月26日 by izusakuraya. My son Yuuki and me took a walk around our Pension under the warm sunlight today. After that we spend a time at the flower field of Narcissus "Suisen". We found some melons, "Hayato Uri" in Japanese, that we cook it for pickles of Miso every winter in the field. It was very slow time and slow day today. This entry was posted in Family, Flower on 2006年1月25日 by izusakuraya. 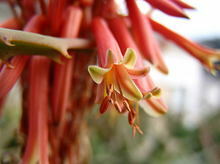 This flower is Aloe, very delicious flower! As this flower has honey in each small one, it is very sweet. That’s why many birds come to get it and we sometimes eat it as Tempura. 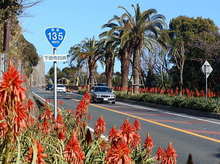 Now in Shirahama, the Aloe festival is held at Itado area. This entry was posted in Flower on 2006年1月24日 by izusakuraya. 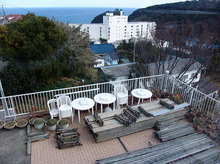 Since yesterday afternoon, it has been sunny and beutiful in Shimoda. 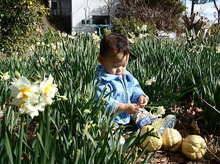 Today my son Yuuki, my wife and me went to Tsumekizaki in Shimoda to see "Suisen Festival", the flowers of Narcissus. 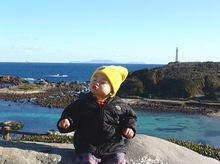 In this photo we can see the light house on the cape, small creek and Izu seven islands in Pacific ocean behind my son. Suisen flowers are blooming but ……. This entry was posted in Family, Flower on 2006年1月23日 by izusakuraya. Yes, beautiful day, Shirahama beach!! I was looking forward to today’s weather. It was cloudy everyday last week, so I could not take a photo of the beach. But I was very happy that I could do it at last. Look on the top of that island! 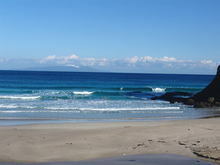 This entry was posted in beach on 2006年1月22日 by izusakuraya. It is very cold outside but my children are …. 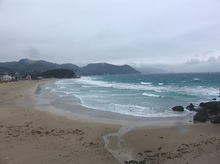 Today it was very cold and rainny in Shirahama. When I was watching TV news in this morning a lot of students were going into the gate of University to take the examination of Nation University through the falling snow. of students who want to get into the National University have to take it. I think that it is good for them but really hard for them and their parents. This entry was posted in beach, Family on 2006年1月21日 by izusakuraya.